Fort Wayne, IN (March 2, 2016) – Arts United is partnering with Riverfront Fort Wayne, the Community Foundation of Greater Fort Wayne, and the City of Fort Wayne through Amplify Art!, a crowdfunding platform to “amplify” Riverfront programming by supporting three exciting Riverfront projects: Water Trail Maps, Faces of the Fort, and Surprise Cinema. Amplify Art! is a social media based crowdfunding program that mobilizes community support for, and awareness of, diverse creative projects happening in Northeast Indiana. Amplify Art! is made possible with support from the Community Foundation of Greater Fort Wayne and the Knight Foundation. The two-week mini campaign began Wednesday, March 2 with the goal of raising $5,000 for each project by Wednesday, March 15. Community members can support the three selected Riverfront projects through social media advocacy and by donating online at www.artsunited.org/amplify. Every gift made through the Amplify Art! platform will be matched dollar for dollar up to $2,500 per project with support from the Knight Foundation. The Water Trail Map project will raise funds to support the creation of comprehensive water trail maps for our region’s rivers. Just as greenways and trails are used on land, rivers can be used as water trails. These maps will highlight access sites for boat launching, as well as contain safety information and links to a website that will direct users to water flow, level and other pertinent information. Donate $25 or more to receive a map! The Faces of the Fort project is designed to use art as a way to change the identity of our riverfront. The project will use a variety of white beach balls ranging in diameter from 20 in. to 8 ft. as a canvas for colorful works of art created primarily by underserved members of the community. When complete, the beach balls will serve as a temporary art installation on the rivers and bridges within the Riverfront Fort Wayne District. A donation of $25 will purchase one 48in. beach ball and art supplies for five artists! The Surprise Cinema project will introduce the Fort Wayne community to the world of immersive cinema, a cinematic experience guaranteed to thrill and delight. Riverfront Fort Wayne, in partnership with Cinema Center and Living Fort Wayne, is developing Surprise Cinema: a once-in-a-lifetime chance to immerse yourself in a world you’ve only seen in the movies. Join other movie lovers and experience the unknown. A $20 donation will purchase one ticket and will give the donor first-access clues for the movie experience. Alison Gerardot, Director of Programming and Events for Riverfront Fort Wayne, is excited about the potential of the crowdfunding campaign to bring dollars and awareness to Riverfront Fort Wayne programming. “I am thrilled to have this opportunity to partner with Arts United through the Amplify Art! platform. We have so many exciting programs and events in the works to keep building the community momentum and excitement around this project. My hope is that the crowdsourcing efforts through Amplify Art! will not only help raise money to support three incredible projects, but also create awareness and drive community interest and engagement in Riverfront Fort Wayne,” said Gerardot. To learn more about Amplify Art! and the Riverfront projects the crowdsourcing campaign will support, visit the Arts United website at www.artsunited.org or follow Riverfront Fort Wayne on Facebook at www.facebook.com/riverfrontfw and Twitter @RiverfrontFW. 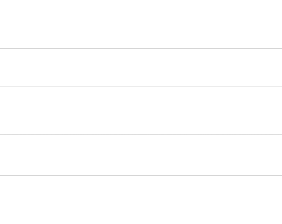 The Community Foundation of Greater Fort Wayne is a public charitable foundation serving Allen County since 1922. The Community Foundation had assets of approximately $140 million at December 31, 2015, and awarded more than $6.5 million in charitable grants and scholarships in that year. 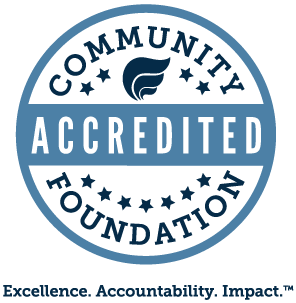 The Community Foundation of Greater Fort Wayne exists to serve as a community leader to improve the quality of life by building permanent endowments, promoting effective grantmaking, fostering philanthropy, stimulating community dialogue and helping donors achieve their charitable goals. Arts United advances the creative sector by mobilizing resources to elevate our community’s quality of life. Learn more about Arts United at www.artsunited.org or donate to the campaign at www.artsunited.org/amplify. Riverfront Fort Wayne is a City of Fort Wayne initiative that envisions a revitalized downtown riverfront area that is a regional destination offering opportunities to experience nature, recreation, shopping, dining and entertainment in a whole new way. The vision provided by the Riverfront Fort Wayne study has the promise to provide our community with a new sense of place and pride that is authentic, innovative and celebrates everything that makes our city a great place to live, work and play.